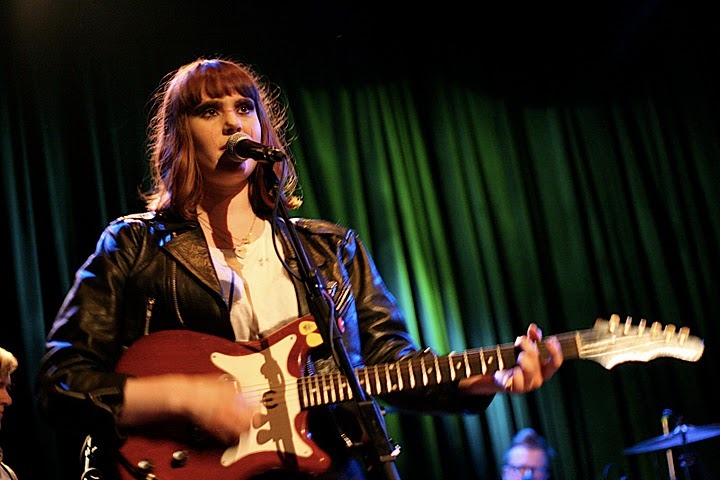 Kate Nash performed two sold out nights in New York this week, the first at the Bowery Ballroom on Thursday (4/29) and again at the Music Hall of Williamsburg in Brooklyn on Saturday(5/1). I have to start this review out with letting everyone know just why Kate Nash has that special place in my heart. In April 2008 (just over two years ago) I flew to New York to catch Kate Nash at Webster Hall where I ended up meeting Lily, the girl who has since become my girlfriend. Since that time Kate, the cute little brit she is, who made her way through the MySpace ranks to put out one of the best albums of 2007 has all grown up…from school girl nerd chic to rocker chick. Clad in black leather, resting on crutches and donning a new doo, Kate led the 2010 crowd through most all of her latest album “My Best Friend is You.” Her performance was amazingly energetic and boucny considered the bum foot and the crutches (and some jerk stole one of her crutches after her Bowery show last Thursday). 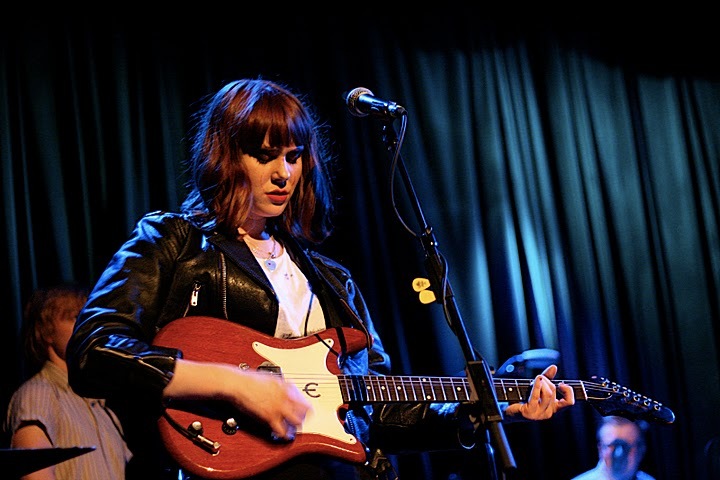 While Kate had written at least a few of these songs long enough ago to have treated us to four songs in 2008 that eventually made it on to the new album, four to be exact, and a few songs that were written back then but have yet to find a home on an album (“Model Behaviour”), it was pretty much exclusively the new album with Foundations and Mouthwash the only exceptions (and those non-album tracks) which was admittedly a bit heart-wrenching as anyone who has heard me blab on about Kate Nash knows I became a huge fan via MySpace (quite by accident) ages before “Made of Bricks” came out. Knowing that she is moving away from the songs like “Nicest Thing” and “Birds” is sad to see and makes me feel like the old man seeing my daughter grow up into a woman. That said, I don’t find “My Best Friend is You” to be the departure that people seem to think it is. Yes it is more riot grrl at times, but I suppose having seen Kate at Webster Hall prepared me for that. Hearing songs like “I Hate Seagulls”, “Do Wa Do” and “Share the Guilt” makes it absolutely clear that Kate is in large part the same girl who takes her everyday life and makes cute folkish pop songs out of it. Nevertheless the rawer, grittier songs like “Higher Plane,” “Mansion Song” and “Model Behaviour” dominated the evening. Overall though the concert was a lot of fun and a great anniversary of sorts for us. Older, different somewhat, but still together, and still having a lot of fun together.